Fort Atkinson Wisconservation Club – Devoted to promoting hunting, fishing and the enjoyment and preservation of our outdoor resources. Devoted to promoting hunting, fishing and the enjoyment and preservation of our outdoor resources. 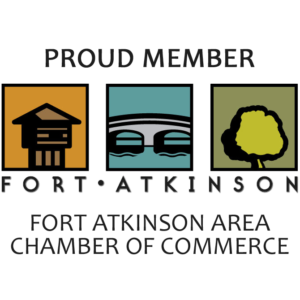 The Fort Atkinson Wisconservation Club is an organization devoted to promoting hunting, fishing and the enjoyment and preservation of our outdoor resources. The club was founded in 1934 and today is made up of 600 members. At the heart of the Wisconservation Club is our annual banquet. The banquet raises money to fund local wildlife habitat improvement projects and is donated to other nonprofit organizations that share the common goal of passing on the hunting and fishing heritage to the next generation. The annual banquet gives members a chance to enjoy a family style roast beef dinner, listen to a presentation by our guest speaker, and partake in many raffles for firearms, fishing equipment, camping gear, wildlife prints, power tools and much more. The Fort Atkinson Wisconservation Club has a Len Brosig Scholarship Program in which all seniors, in good standing, enrolled in Fort Atkinson High School and children of current members can apply. Scholarship applications have to be turned in at Fort Atkinson High School by the first Friday of January. Be sure to check our Web site for upcoming events. Check out our Hunter Safety page.